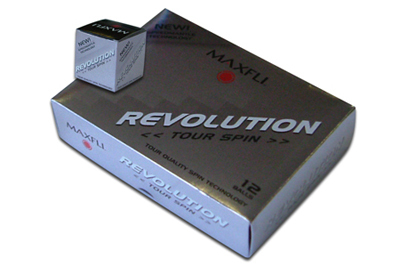 Maxfli Revolution Zhongyi or corporate golf day golf balls with logo print. Price below is for each ball with printed logo in one position. Packaged in dozens with each ball individually boxed.